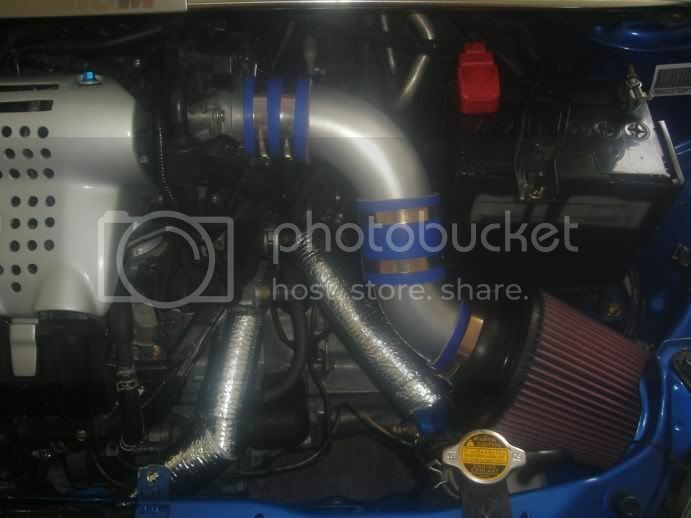 what size is the stock intake tube? 2.5" or 3"? It is 2.5". The reason they are using a 2.5" to 3" adapter is that the spectre tubes and tube accessories only come in 3" and 4". I like your set-up. How much did eveything cost you. I honestly never sat down and calculated it! Since nothing else was available it was the only option. What drew me to it is the ability to keep adding. I started with a short ram and kept going over the period of couple of weeks since I wonted to drive a bit with each set up. And yes, I had to use 2.5" to 3" adapter since tubing is available only in 3". I did not mind since extra diameter increases capacity at throttle blips. I am thinking about adding insulated chamber at OEM filter box location for that purpose alone. 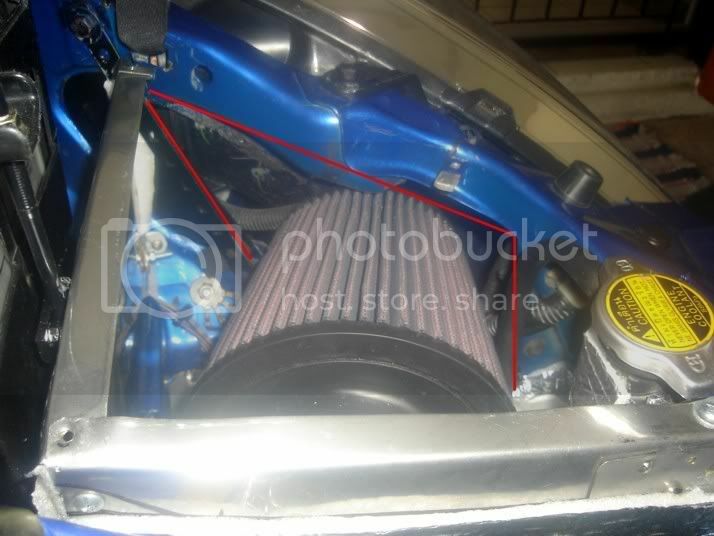 I could do that by using a "Y" adapter tube just before 90* elbow, that has the sensor installed, at the throttle body. That would make it a chamber/ram air/CAI. The best of all worlds. Again all gains are pathetic until we gain the ability to alter the behavior of the throttle body tuned for MPG. Hopefully Chikubi's post pans out. Don't know if anyone can help me but would someone be willing to pick me up 2 of the chrome 3" 90 degree bends and 1 of the 3" chrome connection collars that spectre do and post them to the UK if I can't get spectre to send me some direct?? I averaged 32-36 MPG with entire stock setup. Since adding my modular SRI I averaged 30 MPG on my first tank. The second tank gave me 37 MPG. And my current tank of gas is sitting at 94 miles and it is about to hit the half full line. It seems like my MPGs are significantly decreased during city driving. 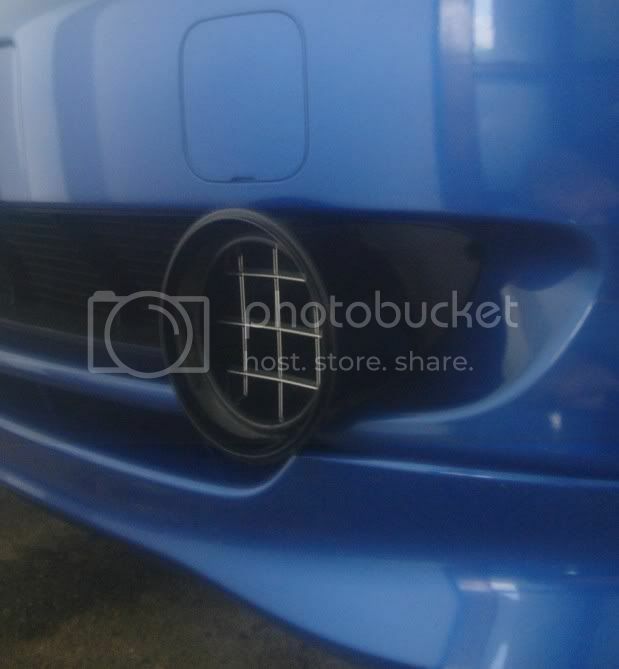 because you wanna hear that nice WOT sound that your intake is giving you. i loose so much gas mileage because i tend to drive short distances so i just gun it everywhere i go. my work is a 2 blocks from my house. it literally takes me only 1 minute to get to work driving. but i hit about 80 before i get to work haha. mind the fact that it is 5am in the morning and nobody is around of course. where did you guys buy the elbow?? i've looked everywhere but couldnt find any that were metal. Only the adjustable ones that wouldnt fit. I don't think anyone who has done this is running a metal elbow. All the pictures I have seen use a plastic elbow. Since everybody is putting theirs up here is mine. Pipe cost two 90 degree bends of 2 1/2" aluminum pipe $15.00 got them at a local turbo shop. Two silicone rubber 2 1/2" joints OUCH $20.00 for both got them at same turbo shop. Biggest cost $40.00 K&N universal cone air filter. Started out with simple Short ram but had bigger things in mind. And for you guys still waiting to do this you CAN'T use THREE inch pipe unless you relocate your battery there just isn't room. I know because for another $2.00 I bought some 3 inch and tried... no luck. I wasn't satisfied so I started to make the short ram in to a CAI. Some $2.00 sheet metal cast offs from a local shop and here we go. It as just a matter of bending up the sheet metal and making a box. You can see from the photos I had already opened up the stock air intake area in the fender a bit and when I finished I cut the opening all the way to the back sheet metal area on the left of the photo. I already had a 3 inch PCV pipe installed in the fog light area for air intake into the fender. It had been feeding my old pipe system leading to the old stock air box but now it leads right into the fender. I have insulated the inside of the fender and sealed it with duct tape and blocked the rear half of the fender so only the front 1/3 is open to the incoming air so now cold air enters the pipe right into the fender then directly to the filter, the only area the filter can draw from as the box lid and box are sealed. Kept making the box and added a lid. You can see some of the white and foil insulation I was installing inside the box. As some of you know if you have been around long enough I like insulation on the intake system parts so the box was insulated in and out and I made removable pieces for the pipes held in place with Velcro straps. Made some thumb screws from pennies soldered into the tops of the box lid screws and done. The IAT sensor was put back in stock location by drilling the proper size hole and added the sending unit from my internal external thermometer that I use to monitor intake air temperature. Finished up the insulation, added a double layer on the bottom where the radiator hose travels, and wrapped the radiator hoses and done. 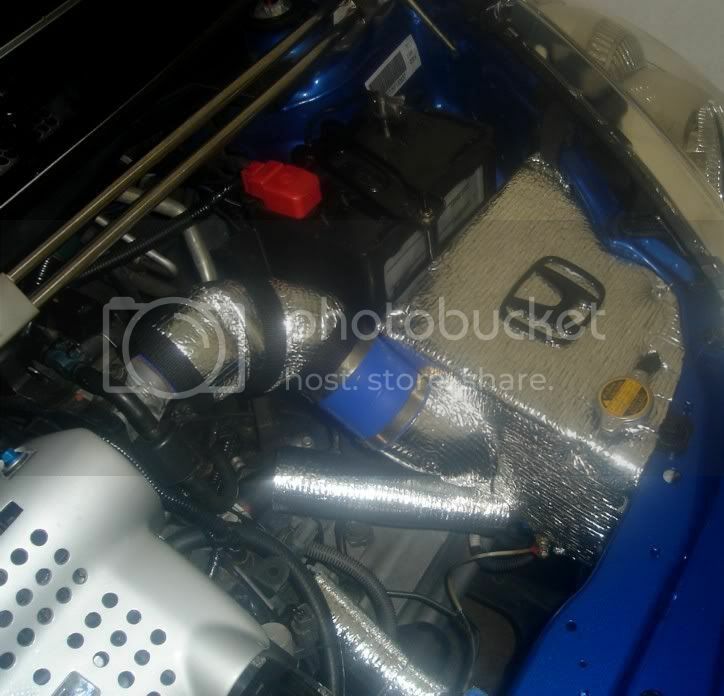 Since these photo I have fabricated a sheet metal cover that hides the radiator hose so it looks better. And O yea I forgot I have the thermometer right in the intake tract right at the TB and with this system I get AMBIENT AIR TEMPERATURE AIR RIGHT INTO THE TB . If I stop for over a minute the temperature starts to rise but once under way with the throttle open the temperature drops right back to ambient air temp. Last edited by claymore; 03-25-2008 at 12:12 PM. WOW! Good write up and awesome fab work! nice fabwork claymore.what temps do you see from the IAT?? Whatever the outside temperature is. If it's 90 degrees out then the thermometer will read about 90 degrees. The lowest I have seen it is 65 when it was 65 out. Sorry but we never get any colder than that to check. Temperatures stay that way as long as air flowing in. If I stop at a light and it's about 90 in about 4 minutes or so it goes slowly up to 120 or so. Once the light turns and you move off without stopping again it goes right back to 90. The very highest I have seen was 132 after sitting at a light with the A/C on for 20 minutes and it was about 95 degrees out. After the light changed I had a clear shot so I found out the with WOT the temperature at the TB was back down to 95 after about 17 seconds. The whole setup works very well because you get the benefit of the short ram shape and quick moving and reacting air column BUT at the same time the SR can only draw from colder air directed into the fender directly from the outside and that air is pressurized by ram effect and comes into the sealed fender and the box is sealed so it's the best of both worlds. This is the entrance and my 3" PCV pipe connector intake. And the $.98 cent bellmouth made from a plastic bowl lid that one latchkey kid clique was laughing at. Hey it works great to prevent air spillage and looks better than a straight pipe so frak them lets see them do a better job for 98 cents HA. And the grill work is the bottom of a SS shower caddy that was cut out and shaped until it Fit just right in the hole preventing little tweety birds and small rodents from being sucked in. total cost $2.50 for the shower caddy. Last edited by claymore; 03-26-2008 at 10:57 AM. For comparisons sake my Fujita CAI is usually +7 over ambient using the Scangauge display of Intake Temps. This is on the highway and/or cruising speeds. At idle in the heat it can get well over that but as soon as I drive it usually drops quickly to within 7 degrees of ambient. The only time it's the same as ambient is when I first start it. I think what causes the increased temp is due to the breather line, it us just dumping hot/oily air into the intake once warmed up. Between that and the pipe being uninslated and absorbing a little heat I can't see why it doesn't get to ambient. The filter certainly pulls ambient temp air but by the time it hits the sensor it's slightly warmer. 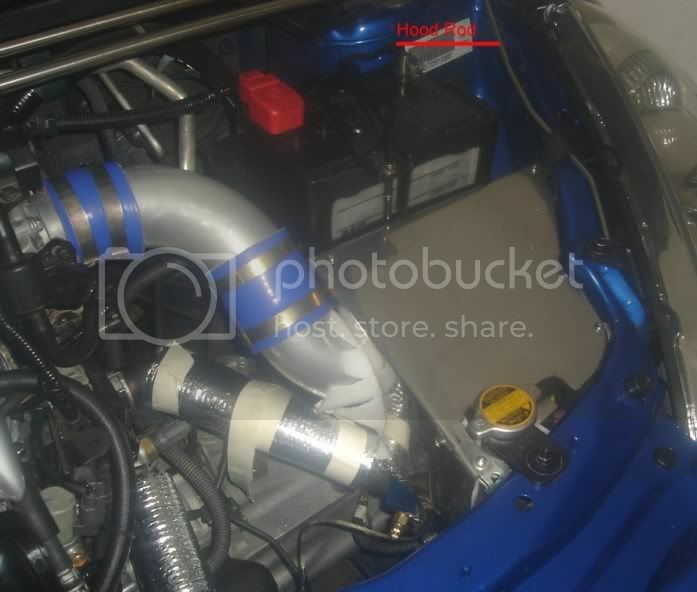 The stock air box was about the same from my findings, although I didn't have it on very long with the Scangauge. don't forget my system is insulated from the opening right up to the TB so there is not as much thermal radiation heating. On mine I just disconnected the BREATHER (make sure it's the breather line) line at the intake and replaced the stock hose with a piece of rubber fuel line and ran it toward the radiator and down across the engine front behind the intake manifold and left the end OPEN TO THE AIR. It has caused no problems and for the first two weeks I had a piece of white paper towel rubber banded loosely over the end to check for oil discharge but no traces of oil were found so now I just leave it open. 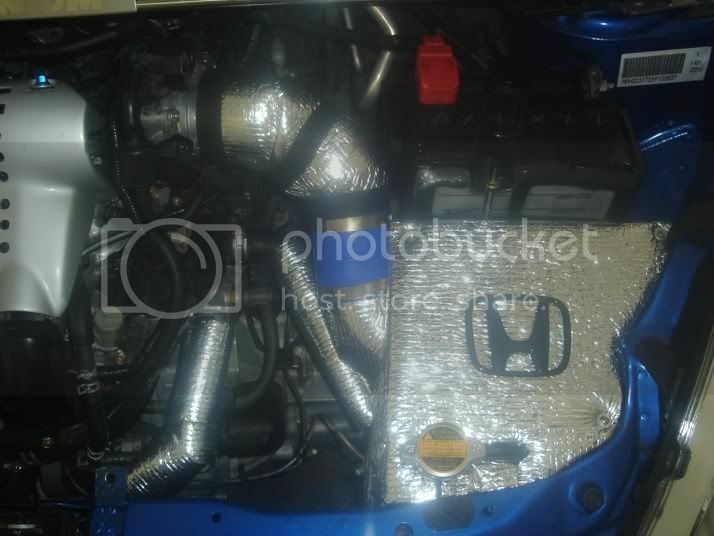 If you look closely at the photo of my finished setup you can see the new fuel line hose coming out of the block running along the old airbox bracket with a hole in it then passing the Vtec solenoid on it's way to behind the intake. 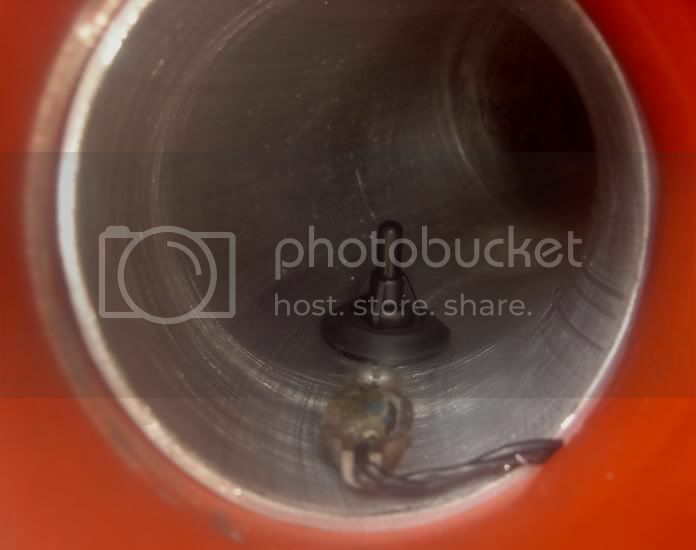 Any picture of the PVC pipe part of your intake? So this is sorta of like Mugen's or Comptech's icebox? It USED to be PVC entrance, the one in the photo above, then a flex pipe then more PVC going upward to the fender hole then flex into a PVC connector in the side of the stock airbox. That has been removed. Now in this setup the ONLY PVC is the piece in the fog light. The whole inside of the fender has been sealed off with insulation and duct tape and the back 2/3 of the fender from right behind the headlight backward has been blocked off. So with this current setup air is forced into the fender through the 3" ID connector epoxied into a hole I made where the fog light would go. Air enters the front 1/3 of the fender which is sealed closed so the air has only one way out and that is directly into the aluminum box that I fabricated. The box is totally sealed so the only air going into the air filter is coming from inside the fender. I don't want to mess up Sid 6.7s post discussing my old setup so if you want to see the old setup using all send me a PM and I will repost it in another thread. Thanks for confirming that 3" won't work Claymore. I am thinking about creating a custom CAI myself and I figured that 2.5" would be the largest diameter that would fit in the are between the TB and the battery.